A benefit-in-kind tax charge arises when a company car is also available for private use. The amount that is taxed in respect of this benefit is a percentage of the list price of the car when it was new. The percentage (known as the appropriate percentage) depends on the CO2 emissions of the car. The Government tightens the emissions criteria each year, so that the appropriate percentage for a given level of emissions is higher next year than this year, and higher this year than last year (subject to the maximum charge of 37% of the list price). This means that even if you do not change your car (and notwithstanding the fact that it is a year older with more mileage on the clock) the amount that is taxed in respect of the car will increase each year. The appropriate percentage is increased generally by 2% in 2016/17 as compared to 2015/16. What does this mean for your tax bill? James has a company car that cost £20,000 in 2014. It has CO2 emissions of 140g/km. James is a higher rate taxpayer paying tax at 40%. In 2015/16 the appropriate percentage for a car with CO2 emissions of 140g/km was 23%. In 2016/17 it is two percentage points higher, at 25%. The cash equivalent of the benefit of the car £4,600 in 2015/16 and £5,000 in 2016/17. This will cost James £1,840 in tax in 2015/15 and £2,000 in 2016/17. As a result of changes to the appropriate percentage James will pay £160 more in tax in 2016/17 than in 2015/16 despite having the same car which is a year older. 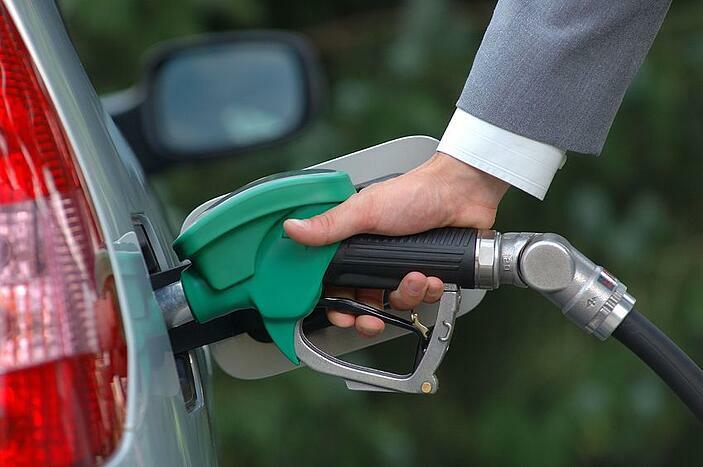 A separate tax charge arises where fuel is provided for private journeys in a company car. The amount taxed in respect of the private fuel is found by multiplying the appropriate percentage used to find the car benefit by the multiplier. As illustrated above, the Government increase the appropriate percentage each year. They also increase the multiplier – a double hit! The fuel benefit is unrelated to the cost of fuel and will rise each year, even if the price of fuel falls. James also receives fuel for private motoring. As noted above, the appropriate percentage is 23% for 2015/16 and 25% for 2016/17. The fuel multiplier is £22,100 for 2015/16 and £22,200 for 2016/17. In 2015/16, for James, the amount charged to tax is £5,083 (23% of £22,100). This rises to £5,550 (25% of £22,200) for 2016/17, reflecting the increase in both the percentage and the multiplier. As a result, the tax payable by James (at 40%) is £2,033.20 in 2015/16 and £2,220 in 2016-17 – an increase of £186.80. Need to know – Annual increases in the appropriate percentages and fuel multiplier mean that you will generally pay more tax for your company car in 2016/17 than in 2015/16, even if nothing changes. Please get in touch with us at Inform if you need further advice on cars and fuel and the changes to your tax bill or for any other tax related matters.